The Buick Cascada is Buick’s most popular luxury convertible, known for its sleek exterior and outstanding road performance. Consistent innovation in performance and features associated with steering and handling makes the Cascada stand out. 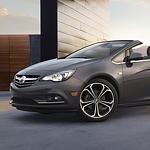 An important performance feature of the Buick Cascada is its wheel choices. Not only do the different 20-inch wheels complement the trim level you choose, but they also can come with different alloy compositions to make the driving experience steadier. You can either get regular 20-inch twin-spoke wheels or twin-spoke aluminum wheels. 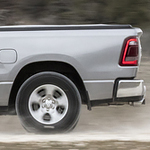 Ram 1500 is versatile enough to haul, pull or tow big cargo and comfortable enough to transport the family. This popular light-duty pickup is consistently a top seller, and it comes with a multitude of safety features. There are some trucks that are designed better than others. If you are looking for a mid-size truck, you may want to look into the popular Colorado. This Chevrolet truck has a special design. When a truck has a special design to help you haul cargo, that truck makes your life a little easier. 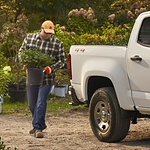 The Chevrolet Colorado is made to help you do work, and it comes with four standard Cargo Tie-Downs. This truck also gives you the option to upgrade the cargo system and add in thirteen additional Cargo Tie-Downs. If you are looking for a vehicle that you can use to haul items, then we at Mike Molstead Motors recommend the Ram ProMaster. 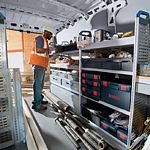 There are a lot of reasons that the 2018 Ram ProMaster is very useful when it comes to carrying items. For one thing, you are going to find a lot of room. The Chevrolet Tahoe is a popular full-size SUV that not only offers passenger and cargo space, but the latest in technology too. You can stay connected anywhere with the new Tahoe. Let’s see what it has to offer in the way of advanced technology. If you're looking for a car that's agile and comfortable in any environment, take a look at the Cadillac CT6. This popular full-sized sedan is built from the frame up with performance in mind. Our team at Mike Molstead Motors is eager to show you what this sedan can do. 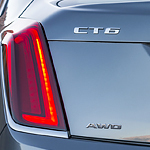 The Cadillac ATS coupe sedans are popular with owners desiring all of Cadillac's luxury. Yet, the vehicles are also designed for performance. The 3.6 V6 engines deliver 335 horsepower with the capability of going from zero to 60 mph in a quick five seconds. Economy-minded owners might choose vehicles equipped with a turbocharged four-cylinder engine. 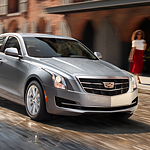 The new ATS sedans available in Charles City are also reduced in overall weight. The vehicles are manufactured using specially engineered metals. In this way, the ATS goes faster and handles better while on the open road. 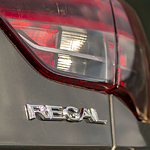 As a luxurious sedan, the 2019 Buick Regal Sportback has a contemporary cockpit that satisfies your connectivity demands. As you drive this premium car, you'll have easy access to digital services in the Buick Infotainment System. 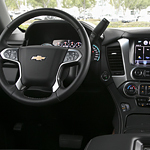 Powered by OnStar, the Connected Navigation System receives real-time traffic data from cloud networks. You may personalize the navigation software according to Charles City and other neighboring locations. For example, it should be easy to request directions to your favorite restaurants, attractions and other venues. The all new Mustang has been hailed as the best-selling sports coupe. The 2019 models are hard to beat with incredible options for power, performance, styling, and tech. In addition, Ford has changed up the game by adding an all new model that is incredibly sporty inside and out. The Mustang BULLITT has turned heads for its incredibly front grill, headlamp, and rear light design, as well as sporty leather interiors. The BULLITT offers 476-horsepower with a powerful V8 engine. However, the Shelby GT Coupe is the one to beat. Rated at 526-horsepower.